Hi, friends! I’ve been quiet, but that’s what happens when you start a new job and are mid-first-trimester – it’s been busy around here! 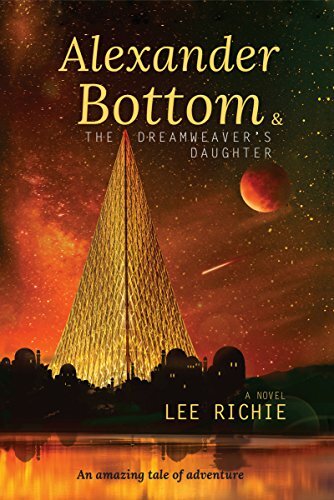 Today I have an EXCELLENT book to recommend to you all: Alexander Bottom and the Dreamweaver’s Daughter by Lee Richie. I had the opportunity to beta read this book earlier this year and it was SO GOOD I often forgot throughout that I was supposed to be commenting and offering feedback. The genre is young adult fantasy, and it’s the kind of book I would want my kids to read when they’re old enough. Check out Lee Richie’s website for more info about the author and the book and then stop by the Amazon page and pick it up for Kindle or in paperback!